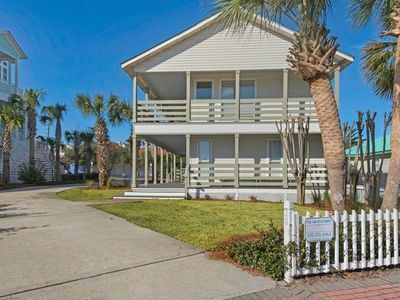 This 7 bedroom, 5.5 bath Crystal Beach Villa is the perfect place for a relaxing family vacation! 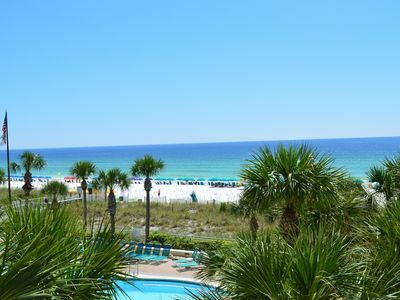 Renew your senses under swaying palm trees in one of Destin's largest back yards. 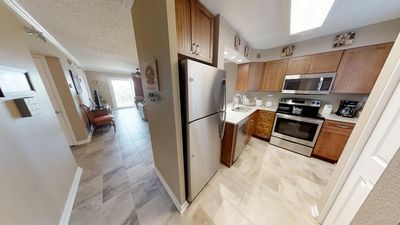 This home features 3 stories, nearly 4,000 sqft. 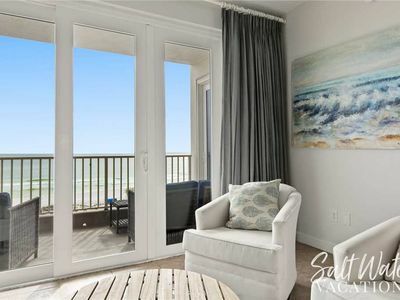 of exceptional living space with grand balconies offering sweeping views of Crystal Beach. 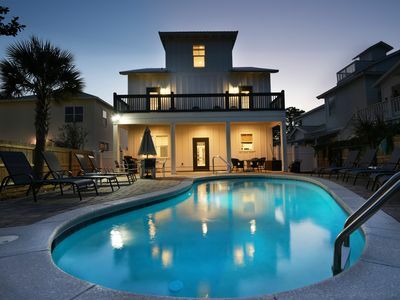 Crystal Gem's spacious backyard features a large 25ft x 11ft heated pool**, spacious patio, and six foot privacy fence. The extra large driveway can hold up to 8 vehicles. Small dogs are allowed at this house so please inquire about our pet policy and fees. 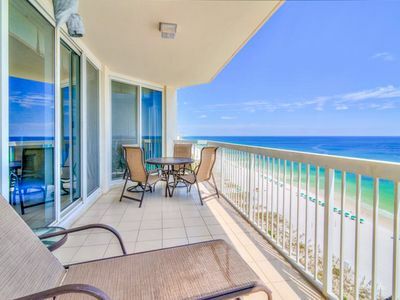 Crystal Gem is only a 3 minute 400 ft walk to the world famous Destin beach! 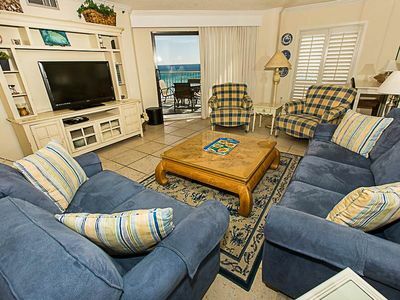 By day enjoy pristine sand bars and perfectly manicured sand. 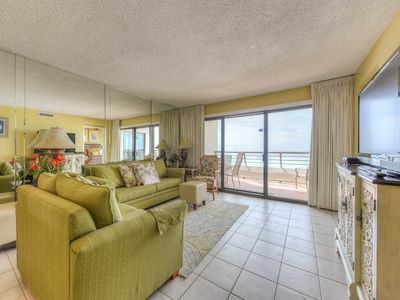 In the evening host a beach bonfire or the wedding of your dreams! 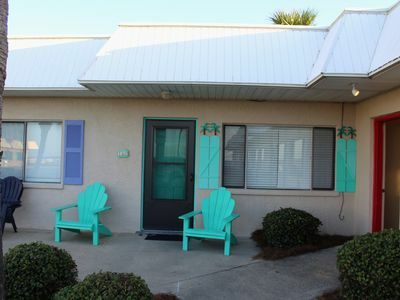 We even have a seasonal beach chair and umbrella setup for you at the beach. 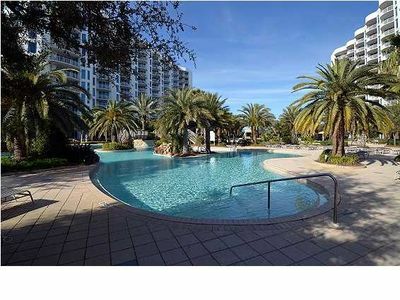 ** Starbucks, Publix, Whole Foods, dining, entertainment and much more is less than a mile away. 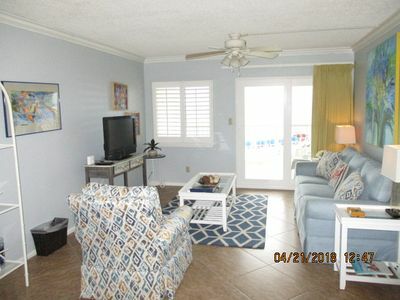 Relax in one of three living rooms. 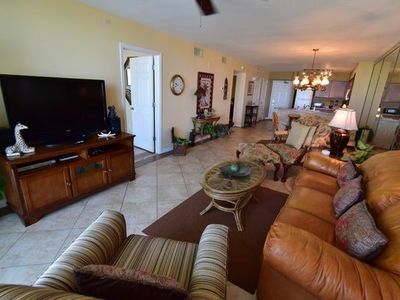 There is plenty of luxurious seating and lounge chairs out back for everyone in your group along with high speed wifi, board games, over 1000 free movies and shows, smart TV's, Netflix, Hulu connectivity and more is available for your enjoyment! Our concierge can arrange golf, dining, water sports, fishing trips, golf carts and other services prior to your visit or during your stay. A beach cart and 4 beach chairs are provided for your convenience. We also offer discounts on bicycle, scooter, and golf cart rentals. 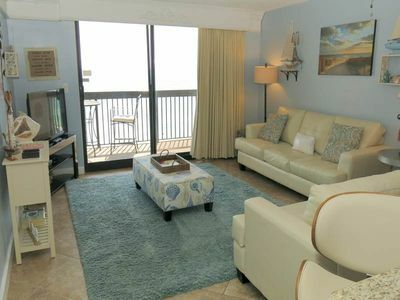 Crystal Gem is located just a few steps from the beach and is a short walk to restaurants and shopping. 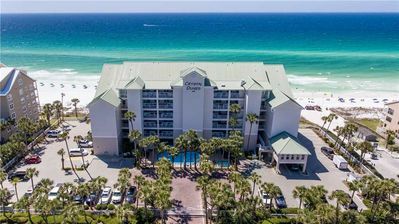 Walk or cycle to the Destin Commons featuring bowling, theaters, premium shopping and several award winning restaurants. 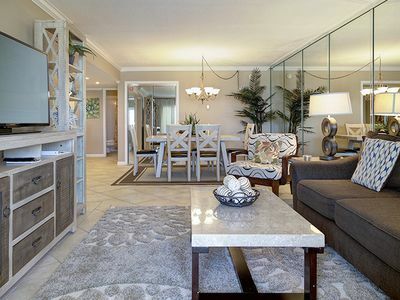 The 4 Star Henderson Spa is just a few blocks away along with several options in beach front dining. 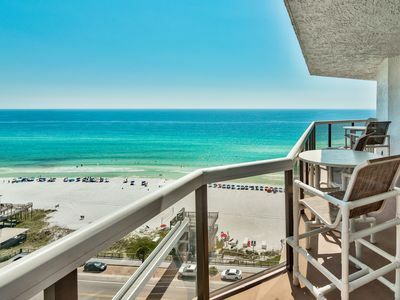 The Destin Harbor, water park, golf, adventure parks and more are just a short drive down the road. 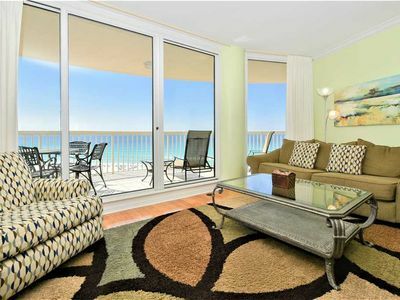 SunDestin 0716 - Book your spring getaway! 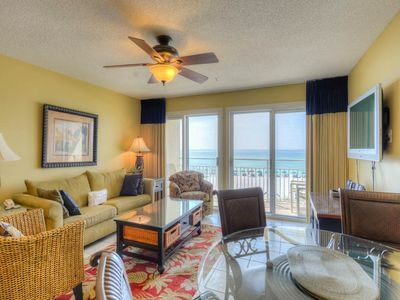 Crystal Sands 210A - Spring availability – won’t last long! 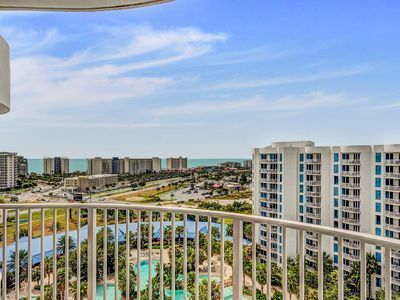 Silver Beach Towers 1205 E-2BR BCHFRONT!☀OPEN Apr 21 to 23 $1,019☀ 2 Pools! 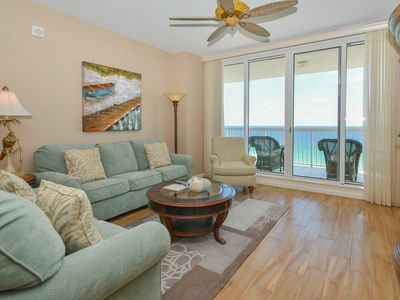 Beautiful 2 bedroom @ Emerald Towers #605, on the beach with Gulf views!